Bobcat Company offers a variety of training and safety resources for owners, renters and operators. 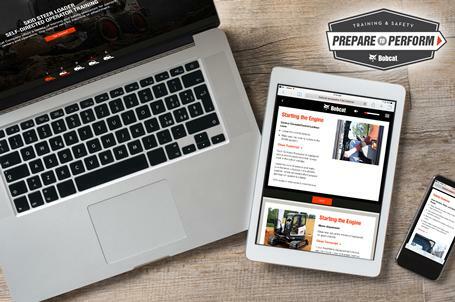 Be sure to see the operator training courses that are now available online. These self-paced, interactive courses are fully responsive so trainees can learn anything, anywhere on the device of their choice. See what is available for your machine or attachments. Click here to see our Spanish resources.